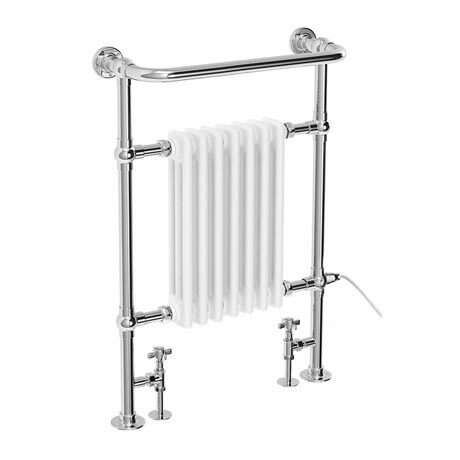 The Savoy is a traditional heated towel rail combining classic towel radiator styling and functionality. A must for all bathrooms, Savoy traditional heated towel rails provide comfort and relaxation. Designed to be plumbed into the main central heating system and used as a radiator/towel rail. It also can be wired into the electric mains (optional) for summer towel warming. Radiator Valves & Summer Electric Heating Kit not supplied but can be purchased separately.